Harper: I love you so much that I am going to sneak out of detention to pay that guy from Craigslist £100 to cut off all your hair for my secret collection. Lily: I love you so much I’m going destroy everyone in your life that matters and force you to depend and love only me. Harper: That sounds beautiful. I love you. Not even the threat of different high schools could throw this BFFship off-course, even if Lily begs her parents not to send her to the “dreaded Pathways,” a special school for creative types, while effortlessly-popular Harper attends Beverly High with the rest of their class. But in a city where fitting in means standing out and there’s nothing more uncool than being cool, it’s the naturally charismatic Harper with her blond hair and perfect bone structure who finds herself fighting the tide of American Apparel’d teens who rule the school. Meanwhile, it’s the perpetually “gawkward” Lily who accessories every ensemble with a pair of tattered fairy wings who finds herself flying alongside the queen bees of Pathways. Can BFF-ship survive the tidal wave of HS drama, or does growing up mean leaving some friends behind? 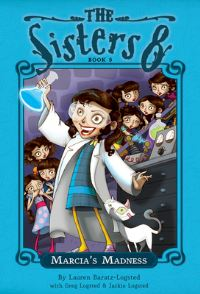 A new friendship series from Hello Giggles creator Rivka Rossi, with an intro from her IRL BFF Zooey Deschanel! 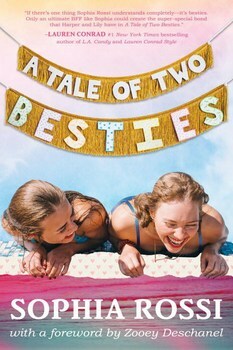 Perfect for fans of Kody Keplinger’s The DUFF and Morgan Matson’s Since You’ve Been Gone, the delightfully funny debut novel A Tale of Two Besties is full of giggles and surprises.